“An inclusive budget with a clear focus on agriculture, infrastructure, digitization and employment generation. Medium and Small Enterprises (MSMEs) are the backbone of the industry and generate the maximum employment. Tax cut for the MSMEs with an annual turnover of Rs 50 crore is a welcome gesture and will drive the growth engine as most of India's companies will get this benefit of 5% tax reduction which will be a relief for them. Labour reforms was much sought demand and budget announcement will definitely help foster a conducive labour environment leading to harmonious labour relations which will further lead to higher productivity. Textile industry is one of the largest employers in India and contributes about 14% to industrial production, 4% to the GDP and gives direct employment to around 45 million workforces. Expanding tax net by increasing tax limit slab up to Rs 5 lakh will give more money into low-medium income groups. This move will give more money into hands of such people which will trigger more demand in markets. After short term sluggish demand due to demonetization, this will surely help to boost the market sentiments. Considering the benefits provided to the poor including affordable housing, it is a good budget for the poverty stricken as it mainly focuses on the rural economy. 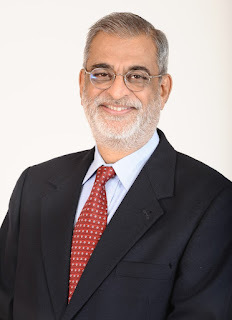 Post Budget reactions By Vijay K Thadani, Vice Chairman & Managing Director, NIIT Ltd.
Mumbai, February 01, 2017: The Budget is directionally good in terms of its focus on quality. A specific statement on granting autonomy to higher education institutions based on performance shows that the government has its priorities right. SWAYAM got a special mention as the latest digital initiative of the government. It shows the high priority that the government accords towards promoting technology-based learning. A new initiative in higher education, announced by Mr. Jaitley, is setting of National Testing Agency which will handle all the entrance exams in higher education. This is a welcome step. The additional focus on advanced skills development and preparing a global workforce through India International Skills Centres is a very welcome step. Moreover setting up of Digi Gaon will open new vistas for technology based education for our rural folks. All India Association of Industries (AIAI) welcomes the Union Budget 2017-18 for its balanced approach and enhancedthrust on infrastructure, promoting digitalization, rationalizing taxation and adhering to fiscal prudence. The Budget attempts to address some of the weak links in the economy by the pragmatic approach to transform, energize and clean India. Mr. Vijay Kalantri, President AIAI said, “MSMEs reeling under heavy pressure post demonetisation would get a relief with the Government’s move to reduce the corporate tax rate for companies with annual turnover of less than Rs 50 crore to 25% (from 30%). This is a welcome move as it is expected to benefit 96% of companies (MSMEs).”However, AIAI expects that there should have been an additional thrust to boost capacity enhancement to make the Make in India programme successful. Similarly the inclusion of affordable housing in infrastructure sector and capital gain relief will provide much needed boost to the struggling real estate sector. The reduction of customs duty on LNG to 2.5% would help in Government’s move towards clean environment. Although industry was expecting abolishment of MAT, Government has allowed companies to carry forward MAT upto a period of 15 years from the present 10 years. On the personal income tax front, exemptions and tax reduction provided to the middle class is meager in the view of rising inflation and globalization. The government should have raised the personal income tax exemption limit to Rs 5,00,000 instead of Rs 2,50,000. Further, there should have been minimum taxes to individuals upto Rs, 10,00,000 income. This would have helped Government’s efforts to widen tax net. The record allocation of Rs 396,135 crore for infrastructure sector would improve the competitiveness of the economy. Especially, the government has raised the allocation for investment in the railway sector to Rs 131,000 crore and it has provided renewed focus on improving safety in the sector. Similarly, the government has increased outlay to the roads and highway sector to Rs 64,900 crore for 2017-18 from around 57,976 crore in the previous year. The proposed introduction of trade infrastructure export scheme would improve ease of doing business for exporters. Government’s thrust on high public expenditure will boost the struggling economy on account of lower private sector expenditure. In the rural sector, the proposal to allocate Rs 5,000 crore for micro-irrigation projects, increasing the coverage of crop insurance scheme, increasing outlay towards Mahatma Gandhi National Rural Employment Scheme (MNREGA) underlines Government’s intentions to boost rural economy and would certainly address the regional imbalance. Continuing with the Government’s push to digitisation, the budget has promoted digital payment system with cashback and other measures. In this regard, the proposal to set up payment regulatory board and targeting of 2500 crore digital transactions in 2017-18 are moves in the right direction. The budget has taken some commendable initiatives to promote women empowerment. AIAI welcomes the increased allocation of Rs 184,632 crore towards welfare of women and children under various ministries.The Government has doubled the credit deployment target under the Pradhan Mantri Mudra Yojna to Rs 2.44 lakh crore in 2017-18, which would benefit aspiring women entrepreneurs and businessmen from backward caste. The proposed allocation of Rs 500 crore to set up Mahila Shakti Kendras for skill development of rural women is a necessary step to boost women empowerment. Among other measures, we welcome the abolition of the foreign investment promotion board (FIPB), proposals to introduce further reforms in FDI policy, focus on monetization of airport land, setting up of more crude oil reserves, enhancing solar power capacity and so on. Overall the budget impetus to push reforms, affordable housing, transparency in political funding and simplification of tax laws will help to support economic growth. Eminent experts have welcomed the allocation of dedicated Rupee One lakh crore dedicated fund for enhancing rail passenger safety, leverage technology and carry out infrastructure upgrades n the Union budget for the Financial Year 2018. 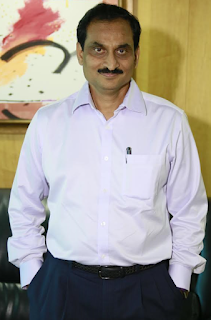 “ The Indian railways should spend the passenger safety allocation to upgrade the safety standards of coaches with high strength Duplex stainless steel to make the coach lighter to save on energy cost, less wear and tear on wheels and tracks and most importantly provide safety to passengers in the event of a crash due to very high impact strength. The weight saving can neutralize the extra weight being added due to bio toilets and dig-ester tanks.” Said said Mr Yatinder Pal Singh Suri, Managing Director and Country Managing, Outokumpu India, one of the largest stainless steel making company in the world and former President, IIT Kharagpur Alumni Association and a Metallurgists from IIT , Kharagpur. “Similarly wagons with Duplex stainless steel will make them lighter and allow one ton extra material to be carried as pay load adding to railway profitability. Also the rail bridges along the coast line as well as water storage and distribution at railway stations should be made from stainless steel. The travelling passenger needs clean, hygienic and safe drinking water at the stations.” Mr Suri added . “ Metro networks in India in various cities are using stainless steel coaches only as stainless steels’ mechanical properties like impact strength and corrosion resistance are of prime importance in rail applications to ensure that human beings are protected and maintenance & operating costs are kept low. Stainless also has an aesthetically pleasing appearance, making it the material of choice in geographically demanding environments that a rail car in India travels to. Taking into account its recyclability, reuse, long life, low cost maintenance together with human safety aspects, stainless steel coaches should be mandatory.” said Mr Suri. A long waited relief to the rural and lower middle class. With the rising medical cost it was impossible for certain sections of the society to even afford life-saving drugs. It’s a welcome step to reach and penetrate even remote areas with limited healthcare access. Building an efficient healthcare system seems to be high on the agenda for the present government. We need more trained doctors and that too specialists catering to the rural areas, by increasing the additional 5,000 post graduate seats per annum the government has shown its intent to transform the healthcare and its determination to eradicate diseases like Kala Azar, Filariasis, leprosy, measles and tuberculosis (TB) and bring down the infant mortality and maternal mortality is really applaudable. Assimilating disease information to senior citizen’s Aadhar card is a good way to understand the disease demographics in India. I am happy to state that the present budget satisfactorily promises the best to the people. This should garner positive result in the coming days. Profile: Sam Santhosh is an entrepreneur with over 25 years of experience in initiating and running successful businesses. Sam is an investor and mentor for many companies and is currently a board member at Impelsys Inc, New York, ePay Healthcare, San Francisco, SciGenom Labs, Cochin, Emerge Ventures, Singapore and the Centre for Commercialization of Antibodies (CCAB) Toronto, Canada. 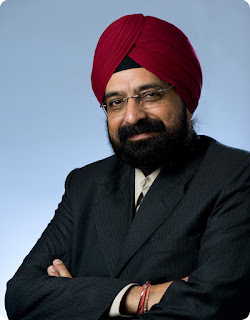 Prior to this Sam was the CEO and Managing Director of California Software Limited (Calsoft) from 1992-2012. He founded Calsoft in 1992 and under Sam’s vision Calsoft rapidly grew from a niche player in the Silicon Valley to a global player with over 1200 employees and presence in 8 countries. 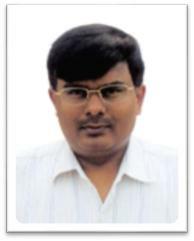 Sam took Calsoft public and listed the company in the Indian Stock Exchanges. From 2004 to 2009, Sam focused on inorganic growth through eight acquisitions including companies in U.S, UK, Japan and India. Post 2009, Sam oversaw the sale of the Calsoft group companies to different buyers across the world. Sam holds a degree in Mechanical Engineering and an MBA from IIM Calcutta. He is based in San Francisco and visits India every alternate month. The Union Budget presented by Finance Minister Arun Jaitley is a people’s budget where Affordable Housing has been the focus and will be given infra status. This bodes well for home seekers living in tier II and tier III cities, which is also in line with government’s vision of ‘Housing for All 2022’. Also, since affordable housing will now be given infra status, we can look at funding through insurance companies, which is a huge alternate sector and opens up a new avenue for real estate funding. Demonetization has impacted the real estate in the short term. But on the flip side, we see banks flushed with funds and given the surplus liquidity that they presently have, we look forward to banks further lowering their home loan interest rates to customers. The reduction of the period for long term capital gains tax coupled with reintroduction of capital gains tax saving investments will attract more landowners to capitalize on their land holdings, thereby bringing more land into development. The Prime Minister recently announced a subvention scheme which is tailor made in attracting a wider audience base of home buyers. Huge allocations proposed for the housing and infrastructure sectors will set the pace of housing our populace at a much quicker pace and developing our infrastructure to align with our vision of ‘Housing For All 2022’. Quote on Budget 2017 by Mr. Rohit Saboo, President and CEO, National Engineering Industries Limited (NEI). quote from Mr. Rohit Saboo, President and CEO, National Engineering Industries Limited (NEI). Honestly when our honourable finance minister Arun Jaitley announced the series of measures in Budget 2017-18 to promote clean energy, access to power and energy security, we as a company are looking forward about its future scope. This thought will result in 20 gigawatts (GW) of solar capacity addition to which it will add on to higher spending on rural electrification. Su Kam would be standing with Mr Jaitley’s initiative of full electrification of 18,452 villages which were identified in 2015 & that will be achieved by 1 March 2018, for which an extra Rs4,814 crore will be spent in the next financial year. Also with the announcement of setting up of 20 GW of solar power capacity and feeding 7,000 railway stations with solar power, giving a major impetus to the shift to clean energy. 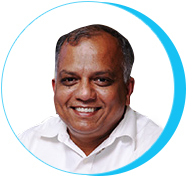 Mr. C K Ranganathan, Chairman & Managing Director, CavinKare Pvt. Ltd. The Budget 2017-18 has been a transformative and inclusive in nature. As a follow on measure to demonetisation which gave address tag to the black money stock, this budget has brought in various measure to control generation of black money like banning of cash transaction over Rs.3 Lac, disallowance of cash transactions of over Rs.10000/- in corporates, limiting political donations in cash form to Rs.2000 etc. These measures coupled with GST introduction and the Digital push would go a long way in broad basing the tax base and setting new norm for the way business is done. Though the budget could not stick to the promise of gradual reduction of corporate tax from 30% to 25%, it has reduced the same to 25% to the MSME sector which forms lion’s share of the corporate. Similarly, it has also addressed the concerns small business having turnover of upto Rs.2 crores by reducing the presumptive tax from 8% to 6% which is clean 25% concession. As regards individuals, the middle class who stood in long lines during demonetisation is given a sweetener in the form of reduced 5% tax rate between Rs.2.5 lac to Rs.5 Lac. This tax break coupled with interest subvention for housing loan now defined in carpet area as against built up area is a welcome measure. Further, applicability of long term capital gains for immovable properties upon completion of 2 years itself as against earlier 3 years is a positive move. The budget has done justice to the macro economic criteria by fixing a reduced target for revenue deficit at 2.1% for 2017-18 against 2.3% for 2016-17, containing fiscal deficit at 3.2% well within the norm, reducing the current account deficit at about half of previous year, merging railway budget with general budget, doing away with plan and non plan expenditure and targeting a larger and cleaner GDP in the future. The budget is inclusive in multiple ways, be it 24% increased allocation to agri and allied sector at Rs.1.87 lac cores thus giving higher push to doubling farm income in 5 years, be it fixing an enhanced limit of Rs.48000 crores for MNREGA coupled with tagging of assets created, be it higher allocation to defence spending, be it highest ever allocation to infrastructure growth both for rail and roadways, be it empowerment of rural youth by skill india, be it empowering by enhanced welfare initiatives for poor and marginalised women, be it over 35% higher allocation to Schedule Cast people, be it construction of 1 crores rural houses, be it giving digital push for cost saving and recording of transactions. “Infrastructure status to affordable housing is the biggest positive announcement in the budget. This will help achieve government target of construction of 60 million homes under initiative of Housing for All. Another big push for the industry is reduction of custom duty on LNG from 5% to 2.5%. Abolition of Foreign Investment Promotion Board (FIPB) will attract more FDI in real estate. Reducing corporate tax by 5% i.e from 30% to 25% will give major relief to unogranised small scale players in Morbi-Cluster. Allocation of Rs. 23,000 cr for Pradhan Mantri Awaas Yojana and target of completing 1 crore house by 2019 will give a big boost to the tiles industry. Proposed changes for considering carpet area instead of built up area for the scheme for profit-linked income tax deduction for promotion of affordable housing are steps in the right direction. Special stimulus is provided in the budget to middle class, rural economy & farmers, youth & education, infrastructure & employment and thus will give big push to economy and help it achieve GDP of 8% plus in coming time.